There never were such profligate times in England as under Charles the Second. Whenever you see his portrait, with his swarthy, ill-looking face and great nose, you may fancy him in his Court at Whitehall, surrounded by some of the very worst vagabonds in the kingdom (though they were lords and ladies), drinking, gambling, indulging in vicious conversation, and committing every kind of profligate excess. It has been a fashion to call Charles the Second 'The Merry Monarch.' Let me try to give you a general idea of some of the merry things that were done, in the merry days when this merry gentleman sat upon his merry throne, in merry England. The first merry proceeding was--of course--to declare that he was one of the greatest, the wisest, and the noblest kings that ever shone, like the blessed sun itself, on this benighted earth. 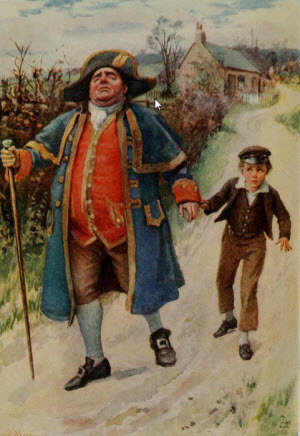 The next merry and pleasant piece of business was, for the Parliament, in the humblest manner, to give him one million two hundred thousand pounds a year, and to settle upon him for life that old disputed tonnage and poundage which had been so bravely fought for. 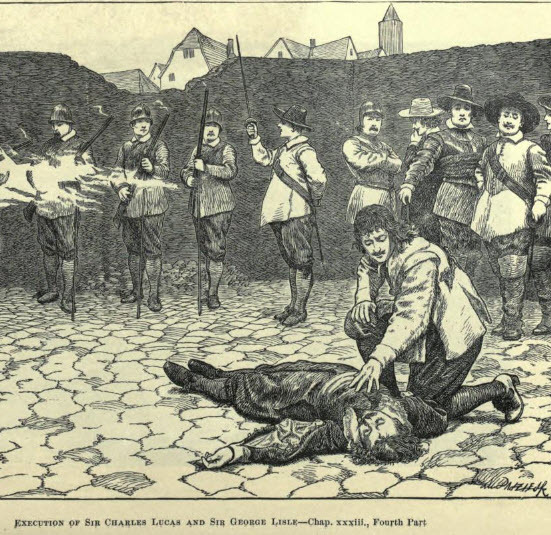 Then, General Monk being made EARL OF ALBEMARLE, and a few other Royalists similarly rewarded, the law went to work to see what was to be done to those persons (they were called Regicides) who had been concerned in making a martyr of the late King. Ten of these were merrily executed; that is to say, six of the judges, one of the council, Colonel Hacker and another officer who had commanded the Guards, and HUGH PETERS, a preacher who had preached against the martyr with all his heart. These executions were so extremely merry, that every horrible circumstance which Cromwell had abandoned was revived with appalling cruelty. The hearts of the sufferers were torn out of their living bodies; their bowels were burned before their faces; the executioner cut jokes to the next victim, as he rubbed his filthy hands together, that were reeking with the blood of the last; and the heads of the dead were drawn on sledges with the living to the place of suffering. Still, even so merry a monarch could not force one of these dying men to say that he was sorry for what he had done. Nay, the most memorable thing said among them was, that if the thing were to do again they would do it. Sir Harry Vane, who had furnished the evidence against Strafford, and was one of the most staunch of the Republicans, was also tried, found guilty, and ordered for execution. When he came upon the scaffold on Tower Hill, after conducting his own defence with great power, his notes of what he had meant to say to the people were torn away from him, and the drums and trumpets were ordered to sound lustily and drown his voice; for, the people had been so much impressed by what the Regicides had calmly said with their last breath, that it was the custom now, to have the drums and trumpets always under the scaffold, ready to strike up. Vane said no more than this: 'It is a bad cause which cannot bear the words of a dying man:' and bravely died. These merry scenes were succeeded by another, perhaps even merrier. On the anniversary of the late King's death, the bodies of Oliver Cromwell, Ireton, and Bradshaw, were torn out of their graves in Westminster Abbey, dragged to Tyburn, hanged there on a gallows all day long, and then beheaded. Imagine the head of Oliver Cromwell set upon a pole to be stared at by a brutal crowd, not one of whom would have dared to look the living Oliver in the face for half a moment! Think, after you have read this reign, what England was under Oliver Cromwell who was torn out of his grave, and what it was under this merry monarch who sold it, like a merry Judas, over and over again. Of course, the remains of Oliver's wife and daughter were not to be spared either, though they had been most excellent women. The base clergy of that time gave up their bodies, which had been buried in the Abbey, and--to the eternal disgrace of England--they were thrown into a pit, together with the mouldering bones of Pym and of the brave and bold old Admiral Blake. The clergy acted this disgraceful part because they hoped to get the nonconformists, or dissenters, thoroughly put down in this reign, and to have but one prayer-book and one service for all kinds of people, no matter what their private opinions were. This was pretty well, I think, for a Protestant Church, which had displaced the Romish Church because people had a right to their own opinions in religious matters. However, they carried it with a high hand, and a prayer-book was agreed upon, in which the extremest opinions of Archbishop Laud were not forgotten. An Act was passed, too, preventing any dissenter from holding any office under any corporation. So, the regular clergy in their triumph were soon as merry as the King. The army being by this time disbanded, and the King crowned, everything was to go on easily for evermore. I must say a word here about the King's family. He had not been long upon the throne when his brother the Duke of Gloucester, and his sister the PRINCESS OF ORANGE, died within a few months of each other, of small- pox. His remaining sister, the PRINCESS HENRIETTA, married the DUKE OF ORLEANS, the brother of LOUIS THE FOURTEENTH, King of France. His brother JAMES, DUKE OF YORK, was made High Admiral, and by-and-by became a Catholic. He was a gloomy, sullen, bilious sort of man, with a remarkable partiality for the ugliest women in the country. He married, under very discreditable circumstances, ANNE HYDE, the daughter of LORD CLARENDON, then the King's principal Minister--not at all a delicate minister either, but doing much of the dirty work of a very dirty palace. It became important now that the King himself should be married; and divers foreign Monarchs, not very particular about the character of their son-in-law, proposed their daughters to him. The KING OF PORTUGAL offered his daughter, CATHERINE OF BRAGANZA, and fifty thousand pounds: in addition to which, the French King, who was favourable to that match, offered a loan of another fifty thousand. The King of Spain, on the other hand, offered any one out of a dozen of Princesses, and other hopes of gain. But the ready money carried the day, and Catherine came over in state to her merry marriage. The whole Court was a great flaunting crowd of debauched men and shameless women; and Catherine's merry husband insulted and outraged her in every possible way, until she consented to receive those worthless creatures as her very good friends, and to degrade herself by their companionship. A MRS. PALMER, whom the King made LADY CASTLEMAINE, and afterwards DUCHESS OF CLEVELAND, was one of the most powerful of the bad women about the Court, and had great influence with the King nearly all through his reign. Another merry lady named MOLL DAVIES, a dancer at the theatre, was afterwards her rival. So was NELL GWYN, first an orange girl and then an actress, who really had good in her, and of whom one of the worst things I know is, that actually she does seem to have been fond of the King. The first DUKE OF ST. ALBANS was this orange girl's child. In like manner the son of a merry waiting-lady, whom the King created DUCHESS OF PORTSMOUTH, became the DUKE OF RICHMOND. Upon the whole it is not so bad a thing to be a commoner. The Merry Monarch was so exceedingly merry among these merry ladies, and some equally merry (and equally infamous) lords and gentlemen, that he soon got through his hundred thousand pounds, and then, by way of raising a little pocket-money, made a merry bargain. He sold Dunkirk to the French King for five millions of livres. When I think of the dignity to which Oliver Cromwell raised England in the eyes of foreign powers, and when I think of the manner in which he gained for England this very Dunkirk, I am much inclined to consider that if the Merry Monarch had been made to follow his father for this action, he would have received his just deserts. Though he was like his father in none of that father's greater qualities, he was like him in being worthy of no trust. When he sent that letter to the Parliament, from Breda, he did expressly promise that all sincere religious opinions should be respected. Yet he was no sooner firm in his power than he consented to one of the worst Acts of Parliament ever passed. Under this law, every minister who should not give his solemn assent to the Prayer-Book by a certain day, was declared to be a minister no longer, and to be deprived of his church. The consequence of this was that some two thousand honest men were taken from their congregations, and reduced to dire poverty and distress. It was followed by another outrageous law, called the Conventicle Act, by which any person above the age of sixteen who was present at any religious service not according to the Prayer-Book, was to be imprisoned three months for the first offence, six for the second, and to be transported for the third. This Act alone filled the prisons, which were then most dreadful dungeons, to overflowing. The Covenanters in Scotland had already fared no better. A base Parliament, usually known as the Drunken Parliament, in consequence of its principal members being seldom sober, had been got together to make laws against the Covenanters, and to force all men to be of one mind in religious matters. The MARQUIS OF ARGYLE, relying on the King's honour, had given himself up to him; but, he was wealthy, and his enemies wanted his wealth. He was tried for treason, on the evidence of some private letters in which he had expressed opinions--as well he might--more favourable to the government of the late Lord Protector than of the present merry and religious King. He was executed, as were two men of mark among the Covenanters; and SHARP, a traitor who had once been the friend of the Presbyterians and betrayed them, was made Archbishop of St. Andrew's, to teach the Scotch how to like bishops. Things being in this merry state at home, the Merry Monarch undertook a war with the Dutch; principally because they interfered with an African company, established with the two objects of buying gold-dust and slaves, of which the Duke of York was a leading member. After some preliminary hostilities, the said Duke sailed to the coast of Holland with a fleet of ninety-eight vessels of war, and four fire-ships. This engaged with the Dutch fleet, of no fewer than one hundred and thirteen ships. In the great battle between the two forces, the Dutch lost eighteen ships, four admirals, and seven thousand men. But, the English on shore were in no mood of exultation when they heard the news. For, this was the year and the time of the Great Plague in London. During the winter of one thousand six hundred and sixty-four it had been whispered about, that some few people had died here and there of the disease called the Plague, in some of the unwholesome suburbs around London. News was not published at that time as it is now, and some people believed these rumours, and some disbelieved them, and they were soon forgotten. But, in the month of May, one thousand six hundred and sixty-five, it began to be said all over the town that the disease had burst out with great violence in St. Giles's, and that the people were dying in great numbers. This soon turned out to be awfully true. The roads out of London were choked up by people endeavouring to escape from the infected city, and large sums were paid for any kind of conveyance. The disease soon spread so fast, that it was necessary to shut up the houses in which sick people were, and to cut them off from communication with the living. Every one of these houses was marked on the outside of the door with a red cross, and the words, Lord, have mercy upon us! The streets were all deserted, grass grew in the public ways, and there was a dreadful silence in the air. When night came on, dismal rumblings used to be heard, and these were the wheels of the death-carts, attended by men with veiled faces and holding cloths to their mouths, who rang doleful bells and cried in a loud and solemn voice, 'Bring out your dead!' The corpses put into these carts were buried by torchlight in great pits; no service being performed over them; all men being afraid to stay for a moment on the brink of the ghastly graves. In the general fear, children ran away from their parents, and parents from their children. Some who were taken ill, died alone, and without any help. Some were stabbed or strangled by hired nurses who robbed them of all their money, and stole the very beds on which they lay. Some went mad, dropped from the windows, ran through the streets, and in their pain and frenzy flung themselves into the river. Through the months of July and August and September, the Great Plague raged more and more. Great fires were lighted in the streets, in the hope of stopping the infection; but there was a plague of rain too, and it beat the fires out. At last, the winds which usually arise at that time of the year which is called the equinox, when day and night are of equal length all over the world, began to blow, and to purify the wretched town. The deaths began to decrease, the red crosses slowly to disappear, the fugitives to return, the shops to open, pale frightened faces to be seen in the streets. The Plague had been in every part of England, but in close and unwholesome London it had killed one hundred thousand people. All this time, the Merry Monarch was as merry as ever, and as worthless as ever. All this time, the debauched lords and gentlemen and the shameless ladies danced and gamed and drank, and loved and hated one another, according to their merry ways. So little humanity did the government learn from the late affliction, that one of the first things the Parliament did when it met at Oxford (being as yet afraid to come to London), was to make a law, called the Five Mile Act, expressly directed against those poor ministers who, in the time of the Plague, had manfully come back to comfort the unhappy people. This infamous law, by forbidding them to teach in any school, or to come within five miles of any city, town, or village, doomed them to starvation and death. The fleet had been at sea, and healthy. The King of France was now in alliance with the Dutch, though his navy was chiefly employed in looking on while the English and Dutch fought. The Dutch gained one victory; and the English gained another and a greater; and Prince Rupert, one of the English admirals, was out in the Channel one windy night, looking for the French Admiral, with the intention of giving him something more to do than he had had yet, when the gale increased to a storm, and blew him into Saint Helen's. That night was the third of September, one thousand six hundred and sixty-six, and that wind fanned the Great Fire of London. It broke out at a baker's shop near London Bridge, on the spot on which the Monument now stands as a remembrance of those raging flames. It spread and spread, and burned and burned, for three days. The nights were lighter than the days; in the daytime there was an immense cloud of smoke, and in the night-time there was a great tower of fire mounting up into the sky, which lighted the whole country landscape for ten miles round. Showers of hot ashes rose into the air and fell on distant places; flying sparks carried the conflagration to great distances, and kindled it in twenty new spots at a time; church steeples fell down with tremendous crashes; houses crumbled into cinders by the hundred and the thousand. The summer had been intensely hot and dry, the streets were very narrow, and the houses mostly built of wood and plaster. Nothing could stop the tremendous fire, but the want of more houses to burn; nor did it stop until the whole way from the Tower to Temple Bar was a desert, composed of the ashes of thirteen thousand houses and eighty-nine churches. This was a terrible visitation at the time, and occasioned great loss and suffering to the two hundred thousand burnt-out people, who were obliged to lie in the fields under the open night sky, or in hastily-made huts of mud and straw, while the lanes and roads were rendered impassable by carts which had broken down as they tried to save their goods. But the Fire was a great blessing to the City afterwards, for it arose from its ruins very much improved--built more regularly, more widely, more cleanly and carefully, and therefore much more healthily. It might be far more healthy than it is, but there are some people in it still--even now, at this time, nearly two hundred years later--so selfish, so pig-headed, and so ignorant, that I doubt if even another Great Fire would warm them up to do their duty. The Catholics were accused of having wilfully set London in flames; one poor Frenchman, who had been mad for years, even accused himself of having with his own hand fired the first house. There is no reasonable doubt, however, that the fire was accidental. An inscription on the Monument long attributed it to the Catholics; but it is removed now, and was always a malicious and stupid untruth. That the Merry Monarch might be very merry indeed, in the merry times when his people were suffering under pestilence and fire, he drank and gambled and flung away among his favourites the money which the Parliament had voted for the war. The consequence of this was that the stout-hearted English sailors were merrily starving of want, and dying in the streets; while the Dutch, under their admirals DE WITT and DE RUYTER, came into the River Thames, and up the River Medway as far as Upnor, burned the guard-ships, silenced the weak batteries, and did what they would to the English coast for six whole weeks. Most of the English ships that could have prevented them had neither powder nor shot on board; in this merry reign, public officers made themselves as merry as the King did with the public money; and when it was entrusted to them to spend in national defences or preparations, they put it into their own pockets with the merriest grace in the world. Lord Clarendon had, by this time, run as long a course as is usually allotted to the unscrupulous ministers of bad kings. He was impeached by his political opponents, but unsuccessfully. The King then commanded him to withdraw from England and retire to France, which he did, after defending himself in writing. He was no great loss at home, and died abroad some seven years afterwards. There then came into power a ministry called the Cabal Ministry, because it was composed of LORD CLIFFORD, the EARL OF ARLINGTON, the DUKE OF BUCKINGHAM (a great rascal, and the King's most powerful favourite), LORD ASHLEY, and the DUKE OF LAUDERDALE, C. A. B. A. L. As the French were making conquests in Flanders, the first Cabal proceeding was to make a treaty with the Dutch, for uniting with Spain to oppose the French. It was no sooner made than the Merry Monarch, who always wanted to get money without being accountable to a Parliament for his expenditure, apologised to the King of France for having had anything to do with it, and concluded a secret treaty with him, making himself his infamous pensioner to the amount of two millions of livres down, and three millions more a year; and engaging to desert that very Spain, to make war against those very Dutch, and to declare himself a Catholic when a convenient time should arrive. This religious king had lately been crying to his Catholic brother on the subject of his strong desire to be a Catholic; and now he merrily concluded this treasonable conspiracy against the country he governed, by undertaking to become one as soon as he safely could. For all of which, though he had had ten merry heads instead of one, he richly deserved to lose them by the headsman's axe. As his one merry head might have been far from safe, if these things had been known, they were kept very quiet, and war was declared by France and England against the Dutch. But, a very uncommon man, afterwards most important to English history and to the religion and liberty of this land, arose among them, and for many long years defeated the whole projects of France. This was WILLIAM OF NASSAU, PRINCE OF ORANGE, son of the last Prince of Orange of the same name, who married the daughter of Charles the First of England. He was a young man at this time, only just of age; but he was brave, cool, intrepid, and wise. His father had been so detested that, upon his death, the Dutch had abolished the authority to which this son would have otherwise succeeded (Stadtholder it was called), and placed the chief power in the hands of JOHN DE WITT, who educated this young prince. Now, the Prince became very popular, and John de Witt's brother CORNELIUS was sentenced to banishment on a false accusation of conspiring to kill him. John went to the prison where he was, to take him away to exile, in his coach; and a great mob who collected on the occasion, then and there cruelly murdered both the brothers. This left the government in the hands of the Prince, who was really the choice of the nation; and from this time he exercised it with the greatest vigour, against the whole power of France, under its famous generals CONDE and TURENNE, and in support of the Protestant religion. It was full seven years before this war ended in a treaty of peace made at Nimeguen, and its details would occupy a very considerable space. It is enough to say that William of Orange established a famous character with the whole world; and that the Merry Monarch, adding to and improving on his former baseness, bound himself to do everything the King of France liked, and nothing the King of France did not like, for a pension of one hundred thousand pounds a year, which was afterwards doubled. Besides this, the King of France, by means of his corrupt ambassador--who wrote accounts of his proceedings in England, which are not always to be believed, I think--bought our English members of Parliament, as he wanted them. So, in point of fact, during a considerable portion of this merry reign, the King of France was the real King of this country. But there was a better time to come, and it was to come (though his royal uncle little thought so) through that very William, Prince of Orange. He came over to England, saw Mary, the elder daughter of the Duke of York, and married her. We shall see by-and-by what came of that marriage, and why it is never to be forgotten. This daughter was a Protestant, but her mother died a Catholic. She and her sister ANNE, also a Protestant, were the only survivors of eight children. Anne afterwards married GEORGE, PRINCE OF DENMARK, brother to the King of that country. Lest you should do the Merry Monarch the injustice of supposing that he was even good humoured (except when he had everything his own way), or that he was high spirited and honourable, I will mention here what was done to a member of the House of Commons, SIR JOHN COVENTRY. He made a remark in a debate about taxing the theatres, which gave the King offence. The King agreed with his illegitimate son, who had been born abroad, and whom he had made DUKE OF MONMOUTH, to take the following merry vengeance. To waylay him at night, fifteen armed men to one, and to slit his nose with a penknife. Like master, like man. The King's favourite, the Duke of Buckingham, was strongly suspected of setting on an assassin to murder the DUKE OF ORMOND as he was returning home from a dinner; and that Duke's spirited son, LORD OSSORY, was so persuaded of his guilt, that he said to him at Court, even as he stood beside the King, 'My lord, I know very well that you are at the bottom of this late attempt upon my father. But I give you warning, if he ever come to a violent end, his blood shall be upon you, and wherever I meet you I will pistol you! I will do so, though I find you standing behind the King's chair; and I tell you this in his Majesty's presence, that you may be quite sure of my doing what I threaten.' Those were merry times indeed. There was a fellow named BLOOD, who was seized for making, with two companions, an audacious attempt to steal the crown, the globe, and sceptre, from the place where the jewels were kept in the Tower. This robber, who was a swaggering ruffian, being taken, declared that he was the man who had endeavoured to kill the Duke of Ormond, and that he had meant to kill the King too, but was overawed by the majesty of his appearance, when he might otherwise have done it, as he was bathing at Battersea. The King being but an ill-looking fellow, I don't believe a word of this. Whether he was flattered, or whether he knew that Buckingham had really set Blood on to murder the Duke, is uncertain. But it is quite certain that he pardoned this thief, gave him an estate of five hundred a year in Ireland (which had had the honour of giving him birth), and presented him at Court to the debauched lords and the shameless ladies, who made a great deal of him--as I have no doubt they would have made of the Devil himself, if the King had introduced him. Infamously pensioned as he was, the King still wanted money, and consequently was obliged to call Parliaments. In these, the great object of the Protestants was to thwart the Catholic Duke of York, who married a second time; his new wife being a young lady only fifteen years old, the Catholic sister of the DUKE OF MODENA. In this they were seconded by the Protestant Dissenters, though to their own disadvantage: since, to exclude Catholics from power, they were even willing to exclude themselves. The King's object was to pretend to be a Protestant, while he was really a Catholic; to swear to the bishops that he was devoutly attached to the English Church, while he knew he had bargained it away to the King of France; and by cheating and deceiving them, and all who were attached to royalty, to become despotic and be powerful enough to confess what a rascal he was. Meantime, the King of France, knowing his merry pensioner well, intrigued with the King's opponents in Parliament, as well as with the King and his friends. The fears that the country had of the Catholic religion being restored, if the Duke of York should come to the throne, and the low cunning of the King in pretending to share their alarms, led to some very terrible results. A certain DR. TONGE, a dull clergyman in the City, fell into the hands of a certain TITUS OATES, a most infamous character, who pretended to have acquired among the Jesuits abroad a knowledge of a great plot for the murder of the King, and the re-establishment if the Catholic religion. Titus Oates, being produced by this unlucky Dr. Tonge and solemnly examined before the council, contradicted himself in a thousand ways, told the most ridiculous and improbable stories, and implicated COLEMAN, the Secretary of the Duchess of York. Now, although what he charged against Coleman was not true, and although you and I know very well that the real dangerous Catholic plot was that one with the King of France of which the Merry Monarch was himself the head, there happened to be found among Coleman's papers, some letters, in which he did praise the days of Bloody Queen Mary, and abuse the Protestant religion. This was great good fortune for Titus, as it seemed to confirm him; but better still was in store. SIR EDMUNDBURY GODFREY, the magistrate who had first examined him, being unexpectedly found dead near Primrose Hill, was confidently believed to have been killed by the Catholics. I think there is no doubt that he had been melancholy mad, and that he killed himself; but he had a great Protestant funeral, and Titus was called the Saver of the Nation, and received a pension of twelve hundred pounds a year. As soon as Oates's wickedness had met with this success, up started another villain, named WILLIAM BEDLOE, who, attracted by a reward of five hundred pounds offered for the apprehension of the murderers of Godfrey, came forward and charged two Jesuits and some other persons with having committed it at the Queen's desire. Oates, going into partnership with this new informer, had the audacity to accuse the poor Queen herself of high treason. Then appeared a third informer, as bad as either of the two, and accused a Catholic banker named STAYLEY of having said that the King was the greatest rogue in the world (which would not have been far from the truth), and that he would kill him with his own hand. This banker, being at once tried and executed, Coleman and two others were tried and executed. Then, a miserable wretch named PRANCE, a Catholic silversmith, being accused by Bedloe, was tortured into confessing that he had taken part in Godfrey's murder, and into accusing three other men of having committed it. Then, five Jesuits were accused by Oates, Bedloe, and Prance together, and were all found guilty, and executed on the same kind of contradictory and absurd evidence. The Queen's physician and three monks were next put on their trial; but Oates and Bedloe had for the time gone far enough and these four were acquitted. The public mind, however, was so full of a Catholic plot, and so strong against the Duke of York, that James consented to obey a written order from his brother, and to go with his family to Brussels, provided that his rights should never be sacrificed in his absence to the Duke of Monmouth. The House of Commons, not satisfied with this as the King hoped, passed a bill to exclude the Duke from ever succeeding to the throne. In return, the King dissolved the Parliament. He had deserted his old favourite, the Duke of Buckingham, who was now in the opposition. To give any sufficient idea of the miseries of Scotland in this merry reign, would occupy a hundred pages. Because the people would not have bishops, and were resolved to stand by their solemn League and Covenant, such cruelties were inflicted upon them as make the blood run cold. Ferocious dragoons galloped through the country to punish the peasants for deserting the churches; sons were hanged up at their fathers' doors for refusing to disclose where their fathers were concealed; wives were tortured to death for not betraying their husbands; people were taken out of their fields and gardens, and shot on the public roads without trial; lighted matches were tied to the fingers of prisoners, and a most horrible torment called the Boot was invented, and constantly applied, which ground and mashed the victims' legs with iron wedges. Witnesses were tortured as well as prisoners. All the prisons were full; all the gibbets were heavy with bodies; murder and plunder devastated the whole country. In spite of all, the Covenanters were by no means to be dragged into the churches, and persisted in worshipping God as they thought right. A body of ferocious Highlanders, turned upon them from the mountains of their own country, had no greater effect than the English dragoons under GRAHAME OF CLAVERHOUSE, the most cruel and rapacious of all their enemies, whose name will ever be cursed through the length and breadth of Scotland. Archbishop Sharp had ever aided and abetted all these outrages. But he fell at last; for, when the injuries of the Scottish people were at their height, he was seen, in his coach-and-six coming across a moor, by a body of men, headed by one JOHN BALFOUR, who were waiting for another of their oppressors. Upon this they cried out that Heaven had delivered him into their hands, and killed him with many wounds. If ever a man deserved such a death, I think Archbishop Sharp did. It made a great noise directly, and the Merry Monarch--strongly suspected of having goaded the Scottish people on, that he might have an excuse for a greater army than the Parliament were willing to give him--sent down his son, the Duke of Monmouth, as commander-in-chief, with instructions to attack the Scottish rebels, or Whigs as they were called, whenever he came up with them. Marching with ten thousand men from Edinburgh, he found them, in number four or five thousand, drawn up at Bothwell Bridge, by the Clyde. They were soon dispersed; and Monmouth showed a more humane character towards them, than he had shown towards that Member of Parliament whose nose he had caused to be slit with a penknife. But the Duke of Lauderdale was their bitter foe, and sent Claverhouse to finish them. As the Duke of York became more and more unpopular, the Duke of Monmouth became more and more popular. It would have been decent in the latter not to have voted in favour of the renewed bill for the exclusion of James from the throne; but he did so, much to the King's amusement, who used to sit in the House of Lords by the fire, hearing the debates, which he said were as good as a play. The House of Commons passed the bill by a large majority, and it was carried up to the House of Lords by LORD RUSSELL, one of the best of the leaders on the Protestant side. It was rejected there, chiefly because the bishops helped the King to get rid of it; and the fear of Catholic plots revived again. There had been another got up, by a fellow out of Newgate, named DANGERFIELD, which is more famous than it deserves to be, under the name of the MEAL-TUB PLOT. This jail-bird having been got out of Newgate by a MRS. CELLIER, a Catholic nurse, had turned Catholic himself, and pretended that he knew of a plot among the Presbyterians against the King's life. This was very pleasant to the Duke of York, who hated the Presbyterians, who returned the compliment. He gave Dangerfield twenty guineas, and sent him to the King his brother. 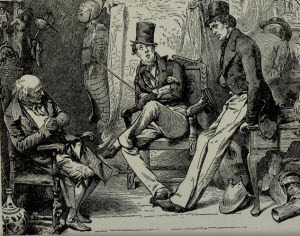 But Dangerfield, breaking down altogether in his charge, and being sent back to Newgate, almost astonished the Duke out of his five senses by suddenly swearing that the Catholic nurse had put that false design into his head, and that what he really knew about, was, a Catholic plot against the King; the evidence of which would be found in some papers, concealed in a meal-tub in Mrs. Cellier's house. There they were, of course--for he had put them there himself--and so the tub gave the name to the plot. But, the nurse was acquitted on her trial, and it came to nothing. The House of Commons refused to let the King have any money until he should consent to the Exclusion Bill; but, as he could get it and did get it from his master the King of France, he could afford to hold them very cheap. He called a Parliament at Oxford, to which he went down with a great show of being armed and protected as if he were in danger of his life, and to which the opposition members also went armed and protected, alleging that they were in fear of the Papists, who were numerous among the King's guards. However, they went on with the Exclusion Bill, and were so earnest upon it that they would have carried it again, if the King had not popped his crown and state robes into a sedan-chair, bundled himself into it along with them, hurried down to the chamber where the House of Lords met, and dissolved the Parliament. After which he scampered home, and the members of Parliament scampered home too, as fast as their legs could carry them. The Duke of York, then residing in Scotland, had, under the law which excluded Catholics from public trust, no right whatever to public employment. Nevertheless, he was openly employed as the King's representative in Scotland, and there gratified his sullen and cruel nature to his heart's content by directing the dreadful cruelties against the Covenanters. There were two ministers named CARGILL and CAMERON who had escaped from the battle of Bothwell Bridge, and who returned to Scotland, and raised the miserable but still brave and unsubdued Covenanters afresh, under the name of Cameronians. As Cameron publicly posted a declaration that the King was a forsworn tyrant, no mercy was shown to his unhappy followers after he was slain in battle. The Duke of York, who was particularly fond of the Boot and derived great pleasure from having it applied, offered their lives to some of these people, if they would cry on the scaffold 'God save the King!' But their relations, friends, and countrymen, had been so barbarously tortured and murdered in this merry reign, that they preferred to die, and did die. The Duke then obtained his merry brother's permission to hold a Parliament in Scotland, which first, with most shameless deceit, confirmed the laws for securing the Protestant religion against Popery, and then declared that nothing must or should prevent the succession of the Popish Duke. After this double-faced beginning, it established an oath which no human being could understand, but which everybody was to take, as a proof that his religion was the lawful religion. The Earl of Argyle, taking it with the explanation that he did not consider it to prevent him from favouring any alteration either in the Church or State which was not inconsistent with the Protestant religion or with his loyalty, was tried for high treason before a Scottish jury of which the MARQUIS OF MONTROSE was foreman, and was found guilty. He escaped the scaffold, for that time, by getting away, in the disguise of a page, in the train of his daughter, LADY SOPHIA LINDSAY. It was absolutely proposed, by certain members of the Scottish Council, that this lady should be whipped through the streets of Edinburgh. But this was too much even for the Duke, who had the manliness then (he had very little at most times) to remark that Englishmen were not accustomed to treat ladies in that manner. In those merry times nothing could equal the brutal servility of the Scottish fawners, but the conduct of similar degraded beings in England. After the settlement of these little affairs, the Duke returned to England, and soon resumed his place at the Council, and his office of High Admiral--all this by his brother's favour, and in open defiance of the law. It would have been no loss to the country, if he had been drowned when his ship, in going to Scotland to fetch his family, struck on a sand-bank, and was lost with two hundred souls on board. But he escaped in a boat with some friends; and the sailors were so brave and unselfish, that, when they saw him rowing away, they gave three cheers, while they themselves were going down for ever. The Merry Monarch, having got rid of his Parliament, went to work to make himself despotic, with all speed. Having had the villainy to order the execution of OLIVER PLUNKET, BISHOP OF ARMAGH, falsely accused of a plot to establish Popery in that country by means of a French army--the very thing this royal traitor was himself trying to do at home--and having tried to ruin Lord Shaftesbury, and failed--he turned his hand to controlling the corporations all over the country; because, if he could only do that, he could get what juries he chose, to bring in perjured verdicts, and could get what members he chose returned to Parliament. These merry times produced, and made Chief Justice of the Court of King's Bench, a drunken ruffian of the name of JEFFREYS; a red-faced, swollen, bloated, horrible creature, with a bullying, roaring voice, and a more savage nature perhaps than was ever lodged in any human breast. This monster was the Merry Monarch's especial favourite, and he testified his admiration of him by giving him a ring from his own finger, which the people used to call Judge Jeffreys's Bloodstone. Him the King employed to go about and bully the corporations, beginning with London; or, as Jeffreys himself elegantly called it, 'to give them a lick with the rough side of his tongue.' And he did it so thoroughly, that they soon became the basest and most sycophantic bodies in the kingdom--except the University of Oxford, which, in that respect, was quite pre-eminent and unapproachable. Lord Shaftesbury (who died soon after the King's failure against him), LORD WILLIAM RUSSELL, the Duke of Monmouth, LORD HOWARD, LORD JERSEY, ALGERNON SIDNEY, JOHN HAMPDEN (grandson of the great Hampden), and some others, used to hold a council together after the dissolution of the Parliament, arranging what it might be necessary to do, if the King carried his Popish plot to the utmost height. 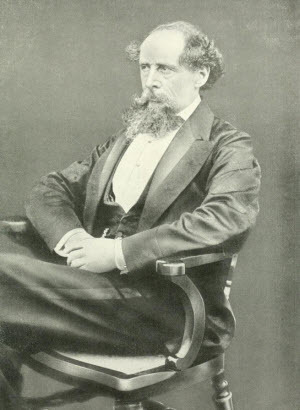 Lord Shaftesbury having been much the most violent of this party, brought two violent men into their secrets--RUMSEY, who had been a soldier in the Republican army; and WEST, a lawyer. These two knew an old officer of CROMWELL'S, called RUMBOLD, who had married a maltster's widow, and so had come into possession of a solitary dwelling called the Rye House, near Hoddesdon, in Hertfordshire. Rumbold said to them what a capital place this house of his would be from which to shoot at the King, who often passed there going to and fro from Newmarket. They liked the idea, and entertained it. But, one of their body gave information; and they, together with SHEPHERD a wine merchant, Lord Russell, Algernon Sidney, LORD ESSEX, LORD HOWARD, and Hampden, were all arrested. Lord Russell might have easily escaped, but scorned to do so, being innocent of any wrong; Lord Essex might have easily escaped, but scorned to do so, lest his flight should prejudice Lord Russell. But it weighed upon his mind that he had brought into their council, Lord Howard--who now turned a miserable traitor--against a great dislike Lord Russell had always had of him. He could not bear the reflection, and destroyed himself before Lord Russell was brought to trial at the Old Bailey. He knew very well that he had nothing to hope, having always been manful in the Protestant cause against the two false brothers, the one on the throne, and the other standing next to it. He had a wife, one of the noblest and best of women, who acted as his secretary on his trial, who comforted him in his prison, who supped with him on the night before he died, and whose love and virtue and devotion have made her name imperishable. Of course, he was found guilty, and was sentenced to be beheaded in Lincoln's Inn-fields, not many yards from his own house. When he had parted from his children on the evening before his death, his wife still stayed with him until ten o'clock at night; and when their final separation in this world was over, and he had kissed her many times, he still sat for a long while in his prison, talking of her goodness. Hearing the rain fall fast at that time, he calmly said, 'Such a rain to- morrow will spoil a great show, which is a dull thing on a rainy day.' At midnight he went to bed, and slept till four; even when his servant called him, he fell asleep again while his clothes were being made ready. He rode to the scaffold in his own carriage, attended by two famous clergymen, TILLOTSON and BURNET, and sang a psalm to himself very softly, as he went along. He was as quiet and as steady as if he had been going out for an ordinary ride. After saying that he was surprised to see so great a crowd, he laid down his head upon the block, as if upon the pillow of his bed, and had it struck off at the second blow. His noble wife was busy for him even then; for that true-hearted lady printed and widely circulated his last words, of which he had given her a copy. They made the blood of all the honest men in England boil. The University of Oxford distinguished itself on the very same day by pretending to believe that the accusation against Lord Russell was true, and by calling the King, in a written paper, the Breath of their Nostrils and the Anointed of the Lord. This paper the Parliament afterwards caused to be burned by the common hangman; which I am sorry for, as I wish it had been framed and glazed and hung up in some public place, as a monument of baseness for the scorn of mankind. The Duke of Monmouth had been making his uncle, the Duke of York, very jealous, by going about the country in a royal sort of way, playing at the people's games, becoming godfather to their children, and even touching for the King's evil, or stroking the faces of the sick to cure them--though, for the matter of that, I should say he did them about as much good as any crowned king could have done. His father had got him to write a letter, confessing his having had a part in the conspiracy, for which Lord Russell had been beheaded; but he was ever a weak man, and as soon as he had written it, he was ashamed of it and got it back again. For this, he was banished to the Netherlands; but he soon returned and had an interview with his father, unknown to his uncle. It would seem that he was coming into the Merry Monarch's favour again, and that the Duke of York was sliding out of it, when Death appeared to the merry galleries at Whitehall, and astonished the debauched lords and gentlemen, and the shameless ladies, very considerably. On Monday, the second of February, one thousand six hundred and eighty- five, the merry pensioner and servant of the King of France fell down in a fit of apoplexy. By the Wednesday his case was hopeless, and on the Thursday he was told so. As he made a difficulty about taking the sacrament from the Protestant Bishop of Bath, the Duke of York got all who were present away from the bed, and asked his brother, in a whisper, if he should send for a Catholic priest? The King replied, 'For God's sake, brother, do!' The Duke smuggled in, up the back stairs, disguised in a wig and gown, a priest named HUDDLESTON, who had saved the King's life after the battle of Worcester: telling him that this worthy man in the wig had once saved his body, and was now come to save his soul. He died in the fifty-fifth year of his age, and the twenty-fifth of his reign.